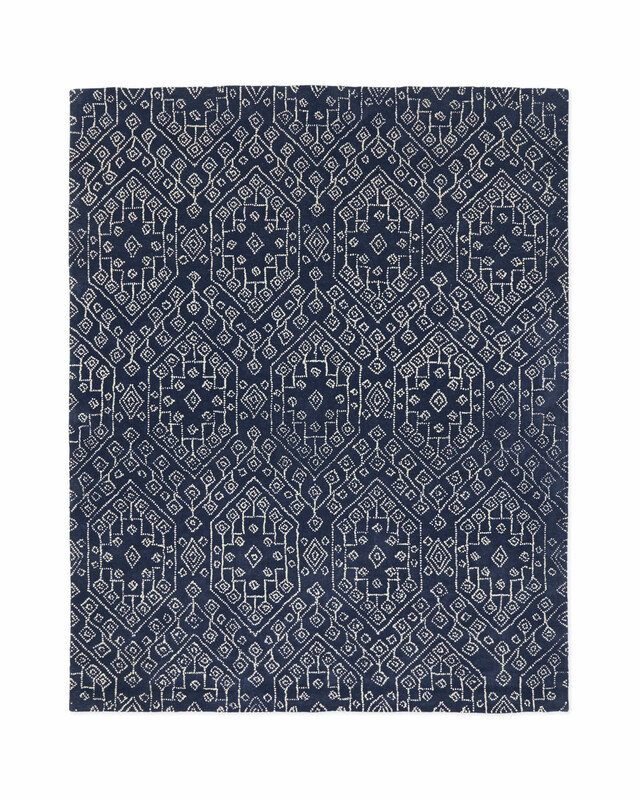 Plymouth RugPlymouth Rug, Indigo alt="Plymouth Rug, Indigo"
Print All the intricacy we love in classic Moroccan tapestry, made modern with undyed yarns. 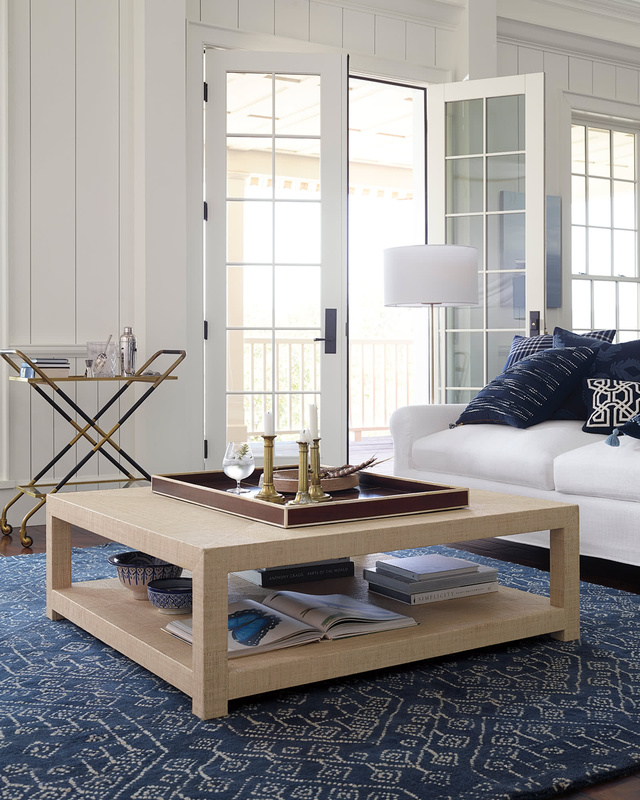 The linework has a mesmerizing scheme that anchors the space in pattern, but with a neutral palette that’s easy to work with. 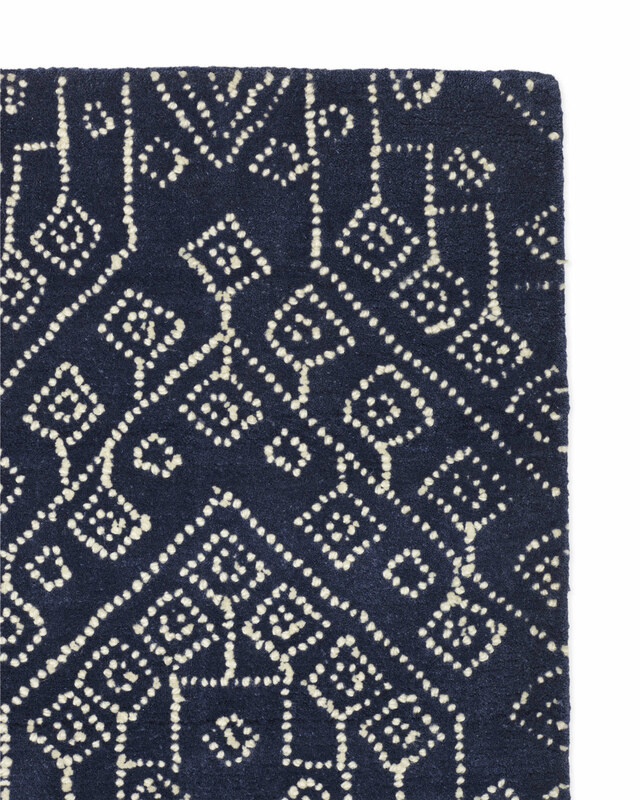 For enduring beauty, it’s hand-tufted; for cozy softness, we used plush New Zealand wool. 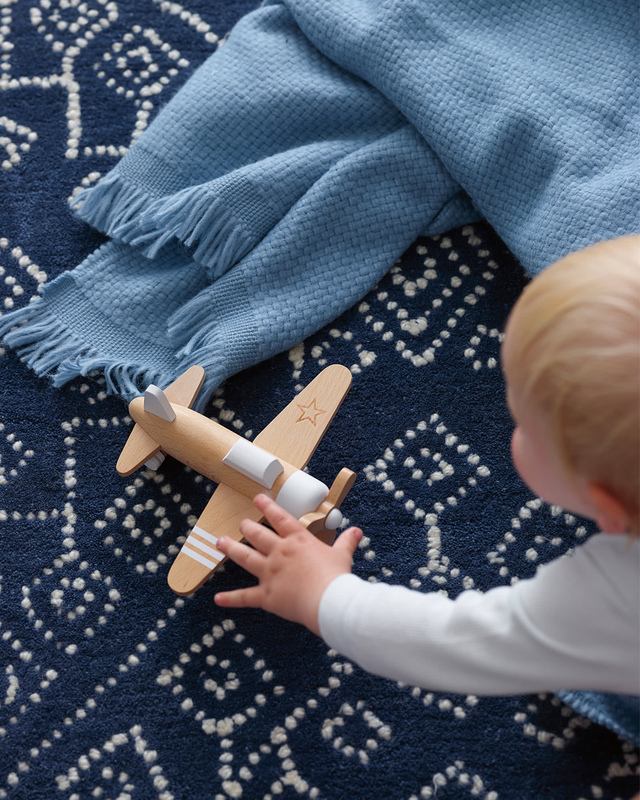 Because of its handcrafted nature, no two rugs will be exactly alike, making each piece truly one-of-a-kind. If the rug gets wet, place it on a flat surface to air dry. 5’ x 7’, 8’ x 10’, 9’ x 12', 11' x 14'.